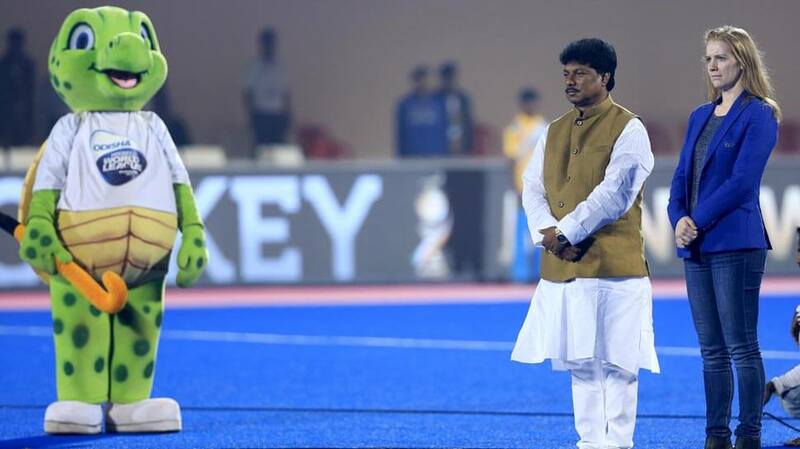 Hockey India (HI) is doing everything part of the protocol and has secured approval from two ministries in the government so far to facilitate Pakistan’s participation in the men’s World Cup to be held November-December next year in Bhubaneswar. The Pakistan Hockey Federation (PHF) apparently didn’t apply for their team’s Indian visa in time for the junior men’s hockey World Cup held in Lucknow last year and missed the tournament as a result. But the Hockey India CEO, Elena Norman, on Wednesday said that they are doing what is required and hopes that the PHF completes all the formalities in time. “They are welcome here, like any other team. We have got approval from the Ministry of Youth Affairs and Sports for conducting the tournament, which will involve 16 teams, including Pakistan. “There is also Ministry of Home Affairs and Ministry of External Affairs. We have got approval from one of them so far. On the top of my mind, I don’t remember which one we have. The other one is expected soon. Then it is up to Pakistan," she told reporters at the Kalinga Stadium in Bhubaneswar, where the men’s Hockey World League Final is being played. “Pakistan has requirements like submitting the visas within a certain period of time, providing all the details. They need to fulfill those requirements,” Elena added. The CEO also cleared the air on the future of Hockey India League (HIL), saying that it is tentatively scheduled for a return by the end of 2019 and HI is in talks with the International Hockey Federation (FIH) for a “broad window” to conduct the tournament. “It is on track and scheduled for 2019 end,” she said. The 2018 season of the HIL was cancelled by the tournament’s governing council in July this year amid reports that the franchises, especially Delhi Waveriders and Punjab Warriors, were facing financial hurdles to continue their association with the league after five seasons. “I don’t think they (franchises) were complaining,” Elena said. “Everyone likes to make money, everyone wants to make sure they get the best possible scenario in place. For that, we still have a little bit of time. “We have already confirmed with our broadcasters for 2019 in terms of Hockey India League. So that’s in place,” she said. She added that the window for the league in FIH calendar is still being worked out. “We need to reconfirm the window with FIH, because at the end of 2019, they also have qualification events. So that will happen before the Hockey India League, so that the players are free for HIL. “We are working with the FIH for a broad window. We haven’t finalised it yet but it will finish on the last Sunday before Christmas (in 2019) so that the players can go home to celebrate (the festival) with their families,” she said.